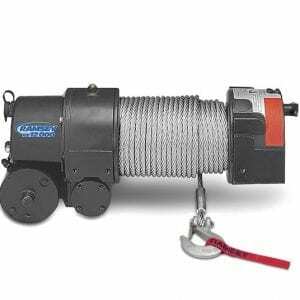 Our raw power, brute-force Electric Worm Gear Winches have 40 years of field and trail proven performance behind them. 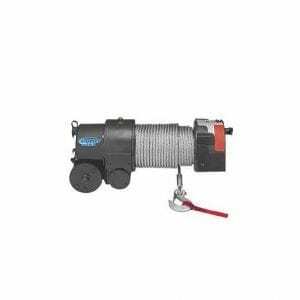 With line pull ratings from 3,000 to 9,000 lbs and a robust worm gear design that provides load reversing protection, this winch gets the job done every time. Maintenance is fast and simple and all moving parts are completely enclosed for maximum protection and longer wear. 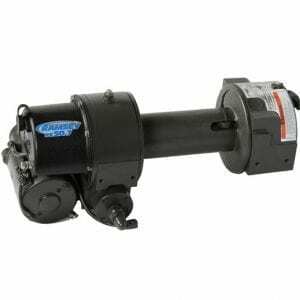 To meet a variety of application requirements and chassis configurations, the Ramsey Electric Worm Gear Winch is available in 12V or 24V models and can be outfitted with heavy-duty fairleads, blocked clutches and free-spooling options. Our Electric Worm Gear Winches are made in the USA in our Tulsa, Oklahoma, facility to meet SAE J706 standards.